At one point in our lives, we have slipped, tripped and fall. A surprising fact is that falling and its related injuries are among the most common reason for a hospital visit for both children and adults. The act of falling becomes more frequent in our later life stages. With this, we can expect more visits to the hospital but New Beginning Physical Therapy has a way to avoid this. Occupational therapy allows physical therapists at New Beginning Physical Therapy help you avoid falling. While in the act of falling, the body is thrown off balance. The body reacts to this scenario by positioning itself using a series of specific reactions. These reactions help the body keep itself from falling. Muscular diseases, accidents, growing older are some factors that make the body begin to lose control of the aforementioned reactions. The bodily reactions become slow and less responsive. This puts us in a dangerous situation as we suffer from an increased risk of falls. The New Beginning Physical Therapy fall prevention program is specially tailored to help patients maintain and increase their reactions to avoid falling. New Beginning Physical Therapy has access to the best physical therapists in Palm Desert, CA. These highly qualified therapists will evaluate a person’s condition based on three factors. They are balance, mobility, and strength. Based on their findings, they will formulate a personalized physical therapy regimen tailored to meet your individual needs. Physical therapists at New Beginning Physical Therapy will put you through balance training exercises. These will help you improve your balance and reactions. The exercises stimulate your reaction times. When done regularly, the balancing exercises make your reactions feel automatic which in turn reduces the risk of falls. For successful treatment, you will be put in an outpatient program. 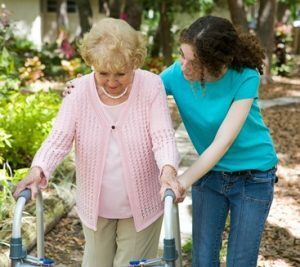 This will allow your physical therapist to make recommendations which will consider the environment around your home and work which may facilitate fall risk. Visit our center in Palm Desert, CA for more on this program.